DMV.com was created to help simplify your life by providing you with all the vehicle related information and New Jersey DMV services you may need, in one place. Quickly find information and services regarding driving records, vehicle registration, drivers license renewal, license plate renewal, getting a learners permit, and finding a New Jersey Department of Motor Vehicles approved traffic school. NJ residents must obtain a drivers license from the MVC before getting behind the wheel. Learn how to get a drivers license in New Jersey. See your DMV driving history without having to wait at the DMV. Order New Jersey driving records online for the most convenient experience. The MVC has made auto insurance mandatory for New Jersey drivers. Get car insurance for less through our online insurance center. Take an NJ defensive driving course online to remove points from your driving record. Our internet traffic school is approved by the MVC. Completing a New Jersey DMV practice exam helps you prepare for the written drivers test. Take a DMV practice test to gauge your knowledge. 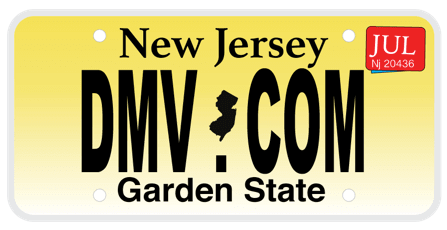 The MVC requires NJ auto registration for cars in the state. Learn how to get a new car registration, how to renew a registration and more. New Jersey drivers ed is a requirement for some first-time drivers. Learn more about drivers education rules established by the DMV and take lessons online. A bill of sale document establishes ownership after a vehicle is bought or sold. Learn how to obtain this car sales receipt from the NJ DMV. New Jersey traffic tickets require the recipient to take action. Learn how to pay a ticket online and how to fight speeding tickets in NJ. New Jersey DUI consequences may include license loss, fines, prison and community service. Learn more about NJ DUI laws managed by the DMV. Buying a car online can simplify your NJ MVC new car registration process. Before you buy a new car or used car in NJ, consult these resources. Find a New Jersey DMV location in your area, and obtain DMV services you require. View DMV locations and hours quickly and conveniently. DMV.com resource for NJ MVC information designed to help you save time waiting in line at your local DMV office. We offer a range of different resources to help drivers in NJ get on the road quickly and easily. DMV.com resource for New Jersey MVC information, is designed to help you save time waiting in line at your local DMV office. We offer a range of different resources to help drivers in NJ get on the road quickly and easily. As a privately owned website our simple mission is to make things like drivers licensing, vehicle registrations, insuring your vehicle as quickly as possible. Just like you, we are tired of waiting in lines and being forced to jump through hoops just to get and stay on the road. So we built this guide to help you, and by not being affiliated with any government agencies we can offer you unbiased advice about both third party, proprietary and government services. Try using the online resources below or the Search bar at the top of the page to help you find what you’re looking for and you’ll be saving time in a flash. DMV.com is a privately owned website not affiliated with any government agencies. Our mission is to save you time and headache and we like all our users to stay engaged with us. You can comment our pages, provide feedback, join us on Facebook, as well as rate/review your local DMV offices and automotive businesses.